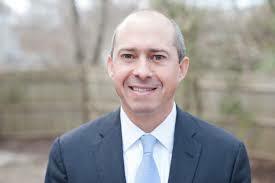 The nickname for any Massachusetts Secretary of Administration and Finance is “Deputy Governor.” Jay Gonzalez, A & F Secretary under Governor Deval Patrick, wants to remove the “deputy.” He’s working hard to defeat lifelong activist and minister Bob Massie in the September Democratic primary and go on to beat Governor Charlie Baker (himself a former A & F Secretary) in the November election. Gonzalez is clearly a long shot, running against an incumbent with the highest favorability rating (71 percent approval) of any governor in the country. Massie, channeling Bernie Sanders, has attacked Gonzalez for being old-school, out of step with progressive values. The characterization doesn’t square with what I heard from Gonzalez last Thursday, and the two seem lock-step on the issues. Gonzalez spoke to a group of Newton Democrats, his tenth such appearance in a city where he acknowledges he is spending a disproportionate amount of time. No surprise, the modest crowd received him warmly, and the reason is clear: they share a liberal agenda on a wide range of issues, including a living wage, affordable housing, quality public education, smooth-functioning public transportation, paid family medical leave, single-payer health insurance, gun safety, opioid crisis, and affordable day care. No one asked Gonzalez the cost of his program. Gonzalez offers an ambitious progressive program so, he says, Massachusetts can actually be a leader again. Gonzalez says that Trump has “lowered the bar so far that we are relieved by mediocrity.” But he decries what he sees as Baker’s failure to lead. He cites the accomplishments of the Patrick administration that, even in times of financial crisis, focused on upgrading investments in education and infrastructure and received a AAA bond rating. Baker, by contrast, in good economic times, has seen that bond rating lowered for the first time in 30 years and has not made good on his promise of good management skills. I like Charlie Baker, but there are legitimate concerns. Under his leadership, for example, the state Department of Revenue suffered a concerning data breach, allowing personal information of thousands who pay child support to go to companies at which they do not work. The DOR also made personal data from tens of thousands of companies available to other companies, some of them competitors. The Registry of Motor Vehicles and the state police have also been in disarray, albeit for different reasons. The MBTA hasn’t made the strides we had hoped for. The Revenue Department and the environmental agencies have been dogged by stories of crony hiring. Teflon Charlie tends to respond to what would have been dubbed “scandals” in another administration by saying he, too, is “frustrated” and “irritated” by them. Don’t we have a right to expect more? Ironically, one of the main reasons for dissatisfaction with Baker is precisely that he seems to lack passion and vision. Deval Patrick had plenty of passion, charisma and vision, but a less proportionate amount of managerial skills (remember the Division of Children and Families’ crisis?). It was Baker’s vaunted management skills that helped him eke out a 1.9 percent margin victory over Democrat Martha Coakley in 2014. Baker comes across as thoughtful and deliberate, occasionally to the point of reticence. He is a strong believer in building initiatives from the grassroots up, getting buy-in from local governments and individuals before declaring himself programmatically. He calls his approach a “distributed decision making model.” That approach, adopted consistently, leaves a lot of political capital on the table. One case in point is the UMass Amherst acquisition of the bankrupt Mt. Ida campus in Newton. At a recent New England Council meeting, I asked Governor Baker about the proper state response. He expressed compassion for the students and families left high and dry by Mt. Ida, something with which few might disagree, but he ducked the issue of state responsibility and didn’t address the plight of UMass Boston. When I put the same question to Gonzalez, he echoed concern for the Mt. Ida community but decried the inequality allowing UMass Amherst to spend $75 million for the satellite when, just ten miles away, UMass Boston struggles with crumbling infrastructure and debt. That, says Gonzalez, is treating UMB’s 16,000 students, a majority minorities, as second-class citizens. A nice rhetorical point, but Gonzalez, like Baker, failed to provide any specific solution. This election will test where our chief executive is on the spectrum between vision and passion on one end and managerial competence and practical expertise on the other. However reasonable the case Gonzalez makes against Baker, it’s a tall order to defeat an incumbent, especially when that incumbent is the nation’s most popular governor and has an enormous war chest. (Baker has $8 million; Gonzalez, $144,000; and Massie, $18,000.) Massachusetts has a long tradition of electing Republicans to the corner office, perhaps as a comforting check on the overwhelmingly Democratic state legislature. We can all benefit if the race provides us a serious debate about the hard issues we face and what more we should expect the governor to do in solving them.